Private Phi Phi Island Tour – The beautiful Archipelago of Phi Phi Island offers great opportunity for those love snorkelling and sightseeing. 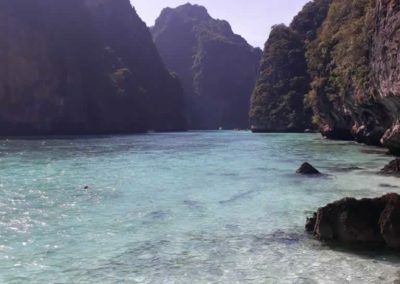 Visit the Top Spots that will make your holidays in Phi Phi Island unforgettable. Private Tour to Maya Bay! Price in Thai Baht starting from 3,500 >> Get your free Quote! NOTE: Tour only available for guest staying overnight in Phi Phi Island! 4 hours use of Private long tail boat. Soft drinks, drinking water & cookies, accident insurance. Guide, Lunch & National park Fees of THB 400 / per person/day payable direct to the park rangers. 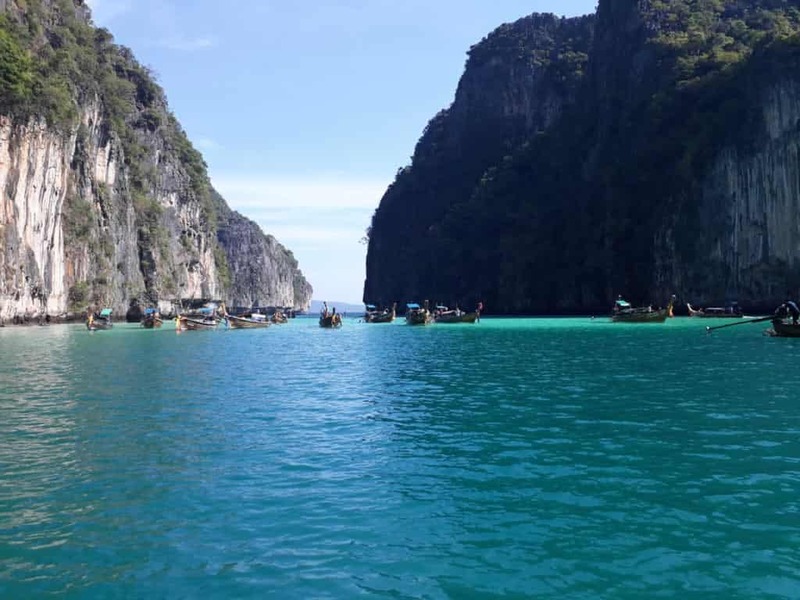 Why a Private Phi Phi Island Tour? 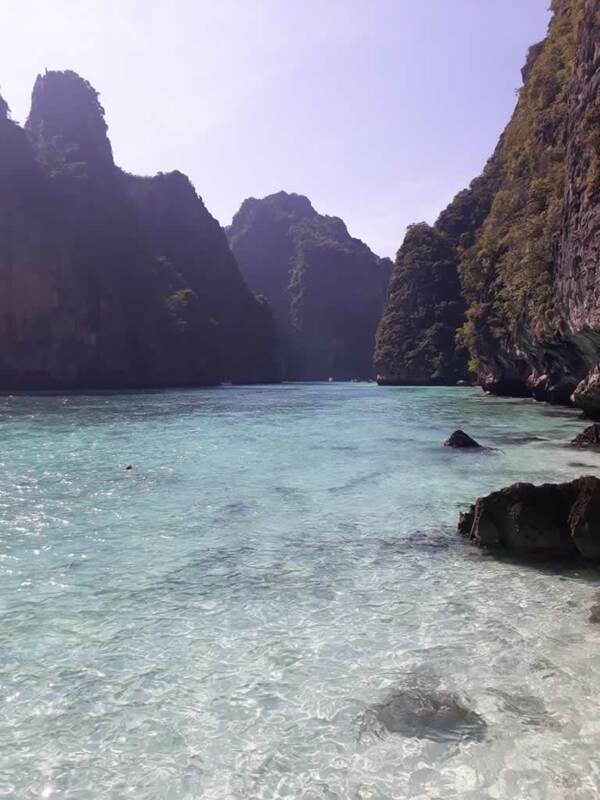 When considering a tour in Phi Phi island need to understand that almost every new traveler to Phuket, Krabi, and Lanta will visit the beautiful beaches and islands of Phi Phi. The result is a lot of people concentrated in the same place at the same time. A peaceful confusion especially at “The Beach” in Maya Bay. Because of this many people are asking the same question. 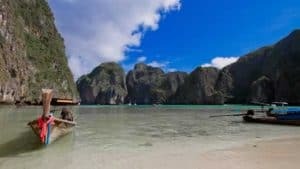 How to avoid the crowds in Phi Phi Island? The solution is easier than what we think! A Private Phi Phi islIslandur by longtail boat. 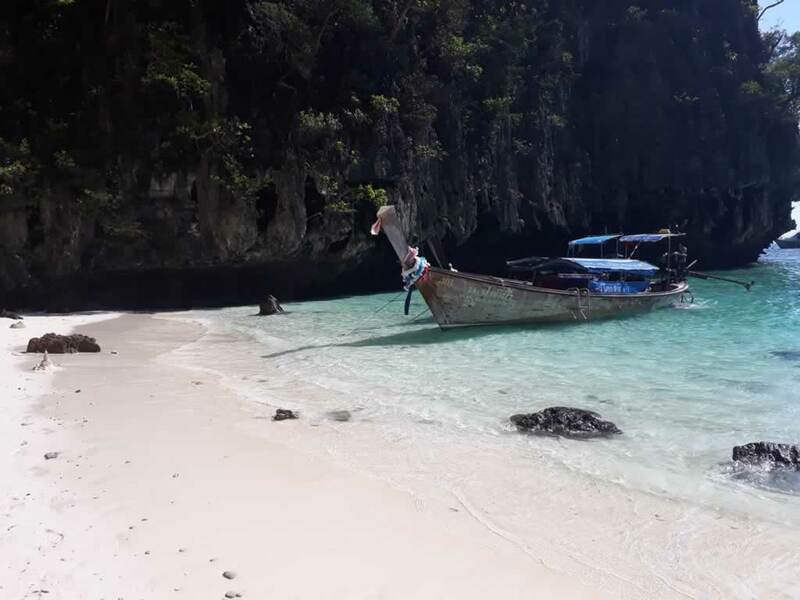 A Phi Phi Island Tour will allow to see the most popular places at the best time with less tourist. You will able to take great pictures at Sunset in Maya Bay or walk along the beautiful white sand beach sharing the moment only with those you love. 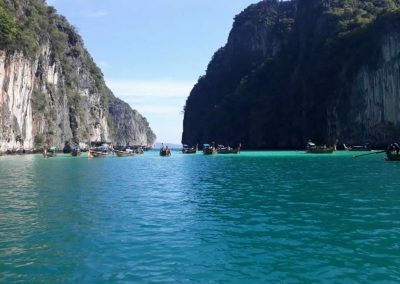 With our private Phi Phi Island Tour you will go inside the famous Pileh Lagoon only when few boats are there and the longtail boats can access the secluded place with slight low tide while the noisy speedboats are able to enter only in high tide. Not only Phi Phi Lay is worth a visit. A private tour to Bamboo and Mosquito islands should be also on your itinerary as you can enjoy snorkeling and visit beautiful beaches during the day. These Islands are on the East side of Phi Phi Don, so they well sheltered also during the Summer Monsoon. During high season only few boats go there making the place even more peaceful and enjoyable. 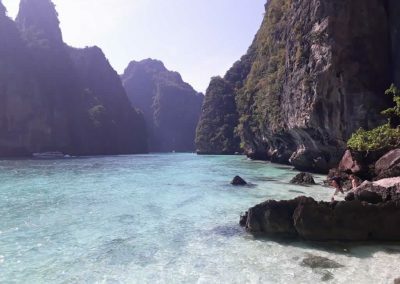 For those who love snorkeling a private tour in Phi Phi is really the best. You can plan the Itinerary and spend more time snorkeling rather than sightseeing, ask to include a lunch box and can snorkel all day at best places and enjoy your quiet lunch on a small quiet beach. Get to the snorkeling spot at right time. This is very important for the light angle that will allow to see more colors and life and be there without a dozen of boats make noise and confusion. Best time for a private Phi Phi Island Tour is early morning departing from the pier at 6:00 hrs to see an amazing sunrise and bit the crowd. Or afternoon at 15:00 hrs to enjoy the sunset. Suggested time is from 7:00 hrs to 11:00 or 13:00 hrs that allow to catch the ferry back to Phuket in the afternoon. A longtail boat is a traditional Thai wooden boat, they are low on the water and wide, making them very stable, the engine is outboard. What make these boats unique it is the outboard engine that is placed high on the stern and the skipper driver the boat and control the engine with a long handle. On the other side of the handle is the long shaft that gives the boat name. These boats are made to sail in very shallow waters and it is easy to get in and out the water.